Very few Americans are satisfied with their current weights. There are too many good tasting, high-calorie foods, and too few hours available to burn the fat. It can be done easily, and here are the best ways to do it. Remember, weight-loss is best approved by a physician, especially if there are any medical concerns such as high blood pressure, elevated cholesterol, cardiovascular problems, etc. 1. Increase cardio workouts. If you’re in shape and have no critical health concerns, perform an aerobic workout every day of the week. To burn fat, a person needs to work at a certain level and cardiovascular exercise is the answer. Don’t put pressure on yourself with an unrealistic goal, like losing the 20 pounds in a week. Unless you have excessive water weight or are already excessively overweight, you won’t likely drop it that fast. Aerobic exercise, such as running or biking outdoors, or on indoor machines such as the treadmill, stair stepper, stationery bicycle, etc., keeps your heart rate at a certain level. Sports such as tennis racquetball and basketball, though rigorous, aren’t really aerobic because they are stop-and-start activities. If you exercise at a very high level, you burn glucose, but if you exercise at the right level, then you burn fat. The ideal target range is 70 to 85 percent of your maximum heart rate. 2. Eat a large, healthy breakfast and lunch and smaller dinner. Your body wont be trying to metabolize large amounts of food at night, during its dormant time while you sleep. You expend energy during the primary time that you’re taking it in. Keep it low fat, but take in most of the quantity in the morning and afternoon. 3. Interval training. Combine aerobic and anaerobic workouts. Perform one or two sets of strength training press, curls, squats, etc. then one minute of jumping rope or fast sprints. The whole purpose of this cycle is to allow your body to have enough oxygen to really burn fat efficiently. A high intake of oxygen is needed in order to metabolize body fat and burn it. Anaerobic or strength training does not really do much for body fat, but if you combine the two (anaerobic plus aerobic) you get excellent results. This type of workout should be at least 30 minutes, but not more than 45 minutes, and you should be stretched-out, warmed up and limber before you begin. Cardio exercise on the exercise bicycle for weight loss is not recommended because the seat carries part of your weight and a person is supposed to carry his or her own body weight for optimum results. 4. Give yourself strength with enough sleep. Get eight hours of good sleep every night. If you can, rest during the day when you get tired. Some people think they increase their energy with coffee, which is an appetite stimulant. Then you eat more. You can make your body feel good in ways other than eating, and appropriate sleep is very important. A positive feeling toward life is another. Work at being happy and content. It makes you feel less deprived if you give up fattening foods. 5. Don’t follow fad diets: make eating right an ongoing priority. With diets that focus on one food group at the expense of another, you’re going to suffer an imbalance of nutrition. Metabolism goes down, craving for food may go up, and all kinds of things go on that give you less control over eating. 6. Cut calories while not slowing down your metabolism. Increase your exercise by a little more and make a slight adjustment to your calorie intake, but not a large one, because you do not want to throw your metabolism out of sync. 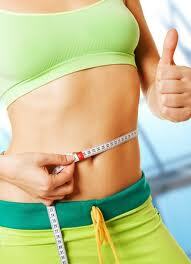 Reduce your fat intake by 10 to 15 percent less fat per day to begin. Fast exercise burns more fat. 7. Divert yourself at times of craving. Curbing your eating behavior at the times you’re most likely to eat bad foods can involve physical activity, though that doest work for some people. You can do a reduced level of physical activity. Get out of the house and take a walk. Listen to music. Read a good book, but do something to take your mind off unhealthy food! 8. Drink a lot of water. Water helps you feel full, and is needed for flushing out your system. If you think fruit juices, coffee or soft drinks count as eight glasses of water a day, they don’t. Fruit juices, though beneficial in other ways, are higher in calories. Eight cups of caffeinated coffee is a poor substitute for water because you’ll be feeling unhealthy effects of the caffeine. Soft drinks either contain sugar or artificial sweeteners. Sugar gives you useless calories, and too many artificial sweeteners causes headaches. There’s no substitute for good, clean refreshing water! 9. Eat more fiber. Physicians and health experts advise that our bodies are biologically designed for survival and reproduction. Taste buds give us the full flavor of food so that we want to eat and survive. It follows that if your stomach is growling constantly, your mind is sending signals to eat. Fill up with low-fat fiber like brown rice, cereals, fat-free rice cakes, soy chips and other food that will give you that full feeling. Otherwise, you’re fighting your own mind. Be sure to count how many calories you’re ingesting when you go for more fiber. Fat-free food doest mean it will never create fat on you; too many calories, even if they are fat-free, can still pack on the pounds. 10. Consider proper support. Besides supportive people, like those found in Weight Watchers and other weight-loss support groups, you might consider subliminal weight-loss tapes. Or even hypnosis. If done properly, hypnosis has been known to help people lose their desire to overeat.